A new exhibition of printed works spanning 500 years is opening in Cork Street for six days only in mid-June, including a Proof Copy of Albert Einstein's Key to the Universe from 1950, and Flemish Book of Hours. "Bringing together the collections from three international sources, this exhibition of fine printed books, manuscripts and Old Master paintings features treasures of literature, history, science, religion and philosophy alongside some of the finest examples of illustration and design. The books survive from a time when prized works were carefully written, decorated, and bound to the tastes of the owner. The craftsmanship at work in each illuminated initial, handset page and gilt binding puts iPads to pasture and e-books to shame. 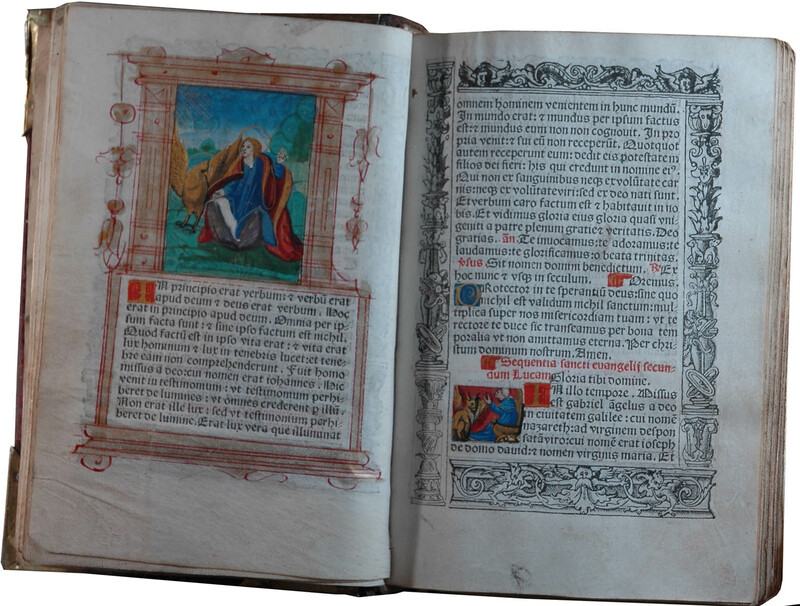 The vitality of pages illuminated by scribes and annotated by readers across the centuries expresses an incredible history, showing the dynamism of personal interaction, often of important historical figures, with these particular artefacts. Text, image, artefact and meaning are all inseparable; shades and nuances offer deeper interpretations into the heritage of treasured possessions. Through these rarely seen objects, we learn the history of the Western World. Works in the exhibition span 500 years from circa 1450 with a well-preserved Flemish Book of Hours to a Proof Copy of Albert Einstein's Key to the Universe from 1950 with his original handwritten corrections and equations – this is one of Einstein's most important pieces. - Lynge and Son's copy of Newton's Principia Mathematica - perhaps no other scientific book has changed the thought of man as profoundly as this. It is generally considered to be the most important book within the field of science and stands unparalleled in the history of scientific thought. - Sokol Books’ The Nuremberg Chronicle - a remarkable copy of the first and ultimate ‘coffee table’ book, purchased and annotated by a Bavarian knight who had made a celebrated journey to the Holy Land. When published, the Chronicle was the most elaborately illustrated book ever produced and the biggest. The glory of this significant work lies in its sumptuous woodcut illustrations, some now attributed to the young Albrecht Dürer; it straddles the medieval and modern worlds both in style and content. - Sokol Books’ The Carnaby Book of Hours - a Tudor volume of extraordinary rarity and quality, belonging to the first fiancé of Anne Boleyn. Its magnificent velvet and silver gilt binding is of a quality rarely seen outside Royal court and has the peculiarity that a few of the prayers and rubrics are set in English. Unlike most printed books of hours, the coloured illustrations constitute miniatures in their own right. A Venue of Art’s Massacre of the Innocents by Pasqualino Rossi – depicting some of the earliest martyrs. Children that not only died for, but instead of, Jesus, as well as their parents trying in vain to protect them. Pasqualino Rossi (1641 - 1722) is a recently rediscovered and celebrated Master of the Baroque whose brush never strayed from suffering. His paintings have often been wrongly attributed to Carracci, Crespi, Correggio."